Due to the increasing use of peripheral nerve blocks by doctors to relieve headaches, the American Headache Society Special Interest Section for PNBs and other Interventional Procedures – known as AHS-IPS – devised recommendations for performing PNBs. The most commonly targeted nerve is the greater occipital nerve – located at the base of the skull. Branches of the trigeminal nerve – a cranial nerve that provides sensation to the face and allows for facial movements – or the lesser occipital nerve may also be targeted. 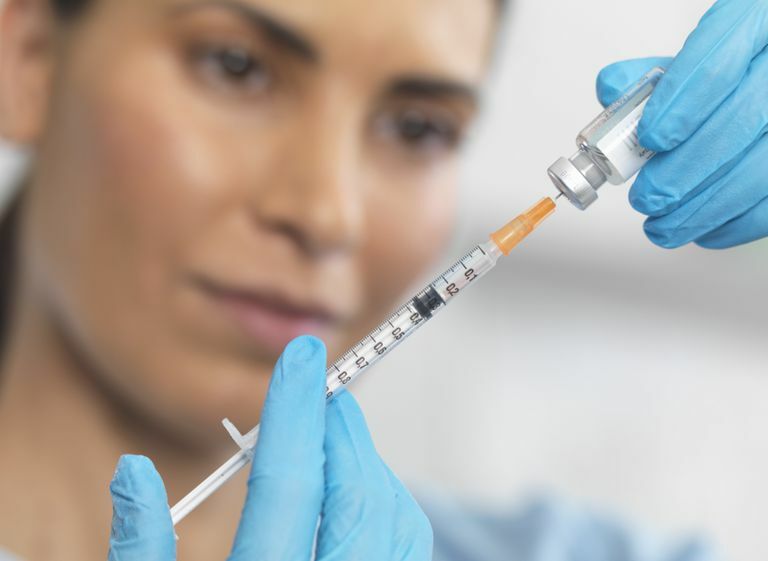 A doctor will inject local anesthetic – either lidocaine or bupivacaine – into the nerve. The anesthesia blocks the signaling between nerve fibers involved in pain messaging. Are Steroids Ever Injected? Sometimes, corticosteroids – like triamcinolone – are added to the local anesthesia. Corticosteroids can also be given alone, but this is not very common. According to AHS-IPS recommendations, corticosteroids should not be injected into the trigeminal branches due to potential side effects. Peripheral nerve blocks are typically performed in a doctor's office and generally tolerated well by headache sufferers. How often a peripheral nerve block needs to be repeated depends on the person and their doctor's recommendation. But, according to the AHS-IHP recommendations, a peripheral nerve block with local anesthetic can be repeated every 2-4 weeks. If corticosteroids are used, though, the procedure should be repeated no sooner than 3 months due to potential side effects – although, this may not be the case for greater occipital nerve blocks in people who suffer from cluster headaches. Potential side effects include hair loss, skin thinning, darkening of the skin, or a medical condition known as Cushing's syndrome. There are some people who should not get a nerve block – like those with a history of a craniotomy. There are also concerns for administering PNBs to certain people – like pregnant women and the elderly. All PNBs need to be discussed very carefully with a person's team of doctors. The use of peripheral nerve blocks in headache treatment is an exciting intervention, but more studies need to be done to clarify its effectiveness. The long-term effects – especially when it comes to preventing headaches – are really unknown at this point. If you are contemplating a nerve block, be sure to discuss it thoroughly with your headache specialist. DISCLAIMER: This site is for informational purposes only. It should not be used as a substitute for personal care by a licensed physician. Please see your doctor for advice, diagnosis, and treatment of any concerning symptoms or medical condition. Blumenfeld A, Ashkenazi A, Evans RW. Occipital and Trigeminal Nerve Blocks for Migraines. Headache. 2015;55(5):682-89. Blumenfeld et al. Expert Consensus Recommendations for the Performance of Peripheral Nerve Blocks for Headaches – A Narrative Review. Headache. Mar 2013;53(3):437-46.